be enjoyed as a standalone. Doctor, Jamie and her younger self, arriving on space station Artemis. fate as that met by Apollo. and Kim set off to prevent the destruction of Artemis Station. 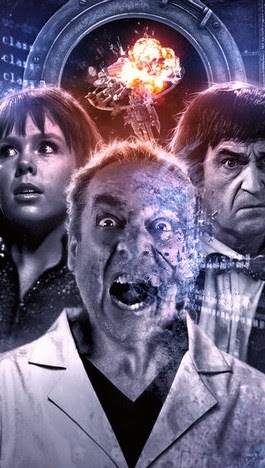 Another strong production from Big Finish, rounding off the Companion Chronicles series in thought-provoking style. Cameron K McEwan was the first owner and site editor of Blogtor Who since its creation in May 2008 until Dec 2015. A lifelong Doctor Who fan, Cameron has also written two books, The Who’s Who of Doctor Who and Doctor Who: The Big Book of Lists, and directed a film all about Doctor Who fans throughout the years, Who’s Changing - An Adventure In Time With Fans. Cameron also contributes TV and film news and reviews to BBC Radio London, Metro, Digital Spy, New York Observer and Den of Geek. He lives in London with his one trousers.